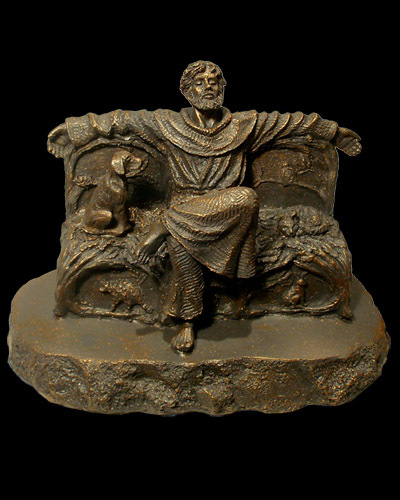 Saint Francis Praising God's Creation is a Christian sculpture by master artist Timothy P. Schmalz. In it Francis is relaxing on a park bench that embodies all of nature. His expression reveals his appreciation and gratitude to God for all of His creations. One can easily see themselves sitting in Francis’ embrace and taking a moment to thank God for all of these gifts around us.